Cheap Aircon Chemical Cleaning Service in Singapore. An Ideal Way to Overhaul Your Air Conditioner. Looking for Air Conditioner Chemical Cleaning In Singapore? There are tens of thousands of Singaporeans who own an air-conditioning unit. Aircon chemical cleaning in Singapore is one of the most sought-after services in the city because of its ability to clean a unit thoroughly. 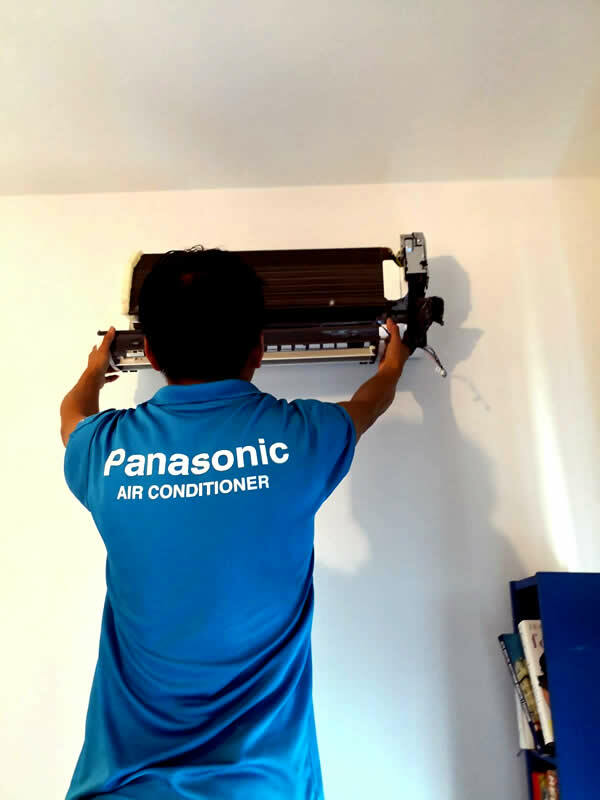 An aircon chemical wash in Singapore is a useful method for keeping an air-conditioner operating at maximum efficiency or fix aircon not cold problem. It can also be a potent tool in restoring an old AC that hasn’t operated for several years which is usually found in old houses or apartment units. We scheduled an appointment online through the their website. The quote was given, the repair was scheduled, and a solution was implemented. Five stars! The team that serviced the units in our office were kind enough to explain to us how to properly care for the AC units. We really appreciate it, thanks! We were looking for an emergency service for our aircon,and we are so lucky that cool earth responded to us right away, with the perfect quotation for our budget. If you are looking to have your aircond cleaned safely, you can trust this company. Their specialists basically know the ‘science’ behind an AC’s performance and what to do to improve it. Happy with their service! The staff entertained us very well and we were able to get an appointment in no time. Aircon servicing has never been this efficient. Chemical washing uses strong solvents. It would loosen up the build-up of dirt, dust, and other particles that get stuck inside your air-conditioning unit. It penetrates even that thickest patch of dirt on your coils, fans, filters, and even your air-conditioners compressor. The aircon chemical wash price in Singapore is a bit higher than a regular aircon cleaning service because of the use of chemicals as a part of this thorough process. Despite a higher price, it provides more value for your money when done in the right situation. This is because of its extensive list of benefits. The Differences Between Standard Aircon Servicing & Overhaul Solution. Many know this service as aircon chemical overhaul because of its thorough process. Our technician will follow a long step-by-step process when performing a full chemical wash. The AC unit will be taken apart piece by piece for the proper application of chemicals. 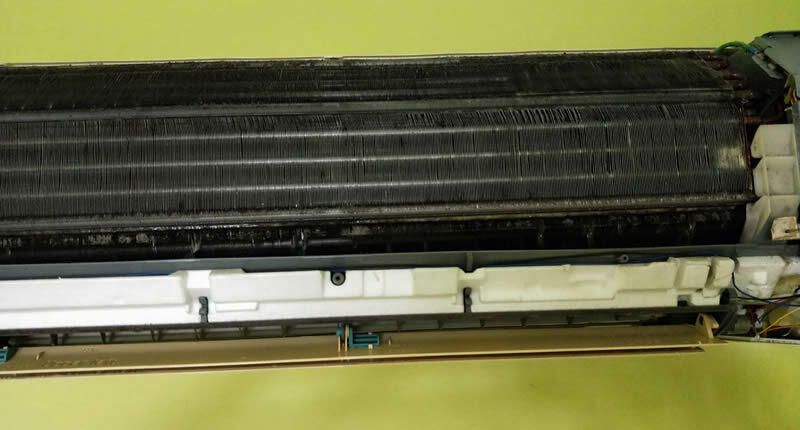 Many clients may ask often they should do an aircon chemical wash. Well, it is usually done for older air-conditioning units that have not operated for years. This process will clean the insides thoroughly. 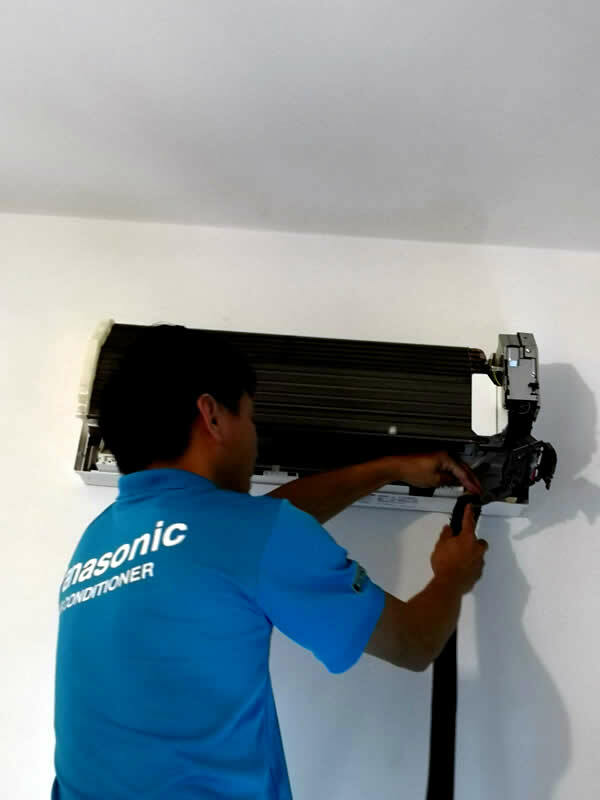 There are also cases where you should call your aircon technician to chemical wash your aircon compressor because it is either heating up too fast or not cooling the air passing through. Cleaning chemicals is effective in breaking down tough dirt accretion for years of operation with no maintenance or going non-operational for years. The cleaning process will remove dust and particles even in the tightest spot of your pipes. When we chemical service your aircon, AC parts such as the compressor, evaporator, or condenser will receive a full cleaning service. This process will extend its service life. These parts will benefit from a chemical overhaul because they heat or freeze up during long hours of operation every day. Cleaning both will allow them to operate at maximum efficiency once again as well as reduce their wear and tear. Our full chemical wash service will also include checking for other damages in your air-conditioner. 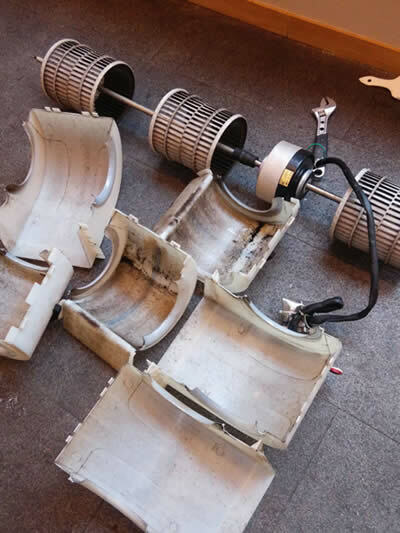 Since we will be opening the unit and remove most of its parts, our technicians will be able to look at every part identifying holes or damages that are causing leaks or if they’re functioning properly. Costs in maintaining your air-conditioner will also be lower after the overhaul. Since your AC is operating at maximum efficiency, it won’t work too hard to cool your room allowing you to save money on your energy bill. All your AC’s parts will be checked. You won’t need to find replacements as often because the chemical overhaul will also act as a preventive maintenance for your entire unit. 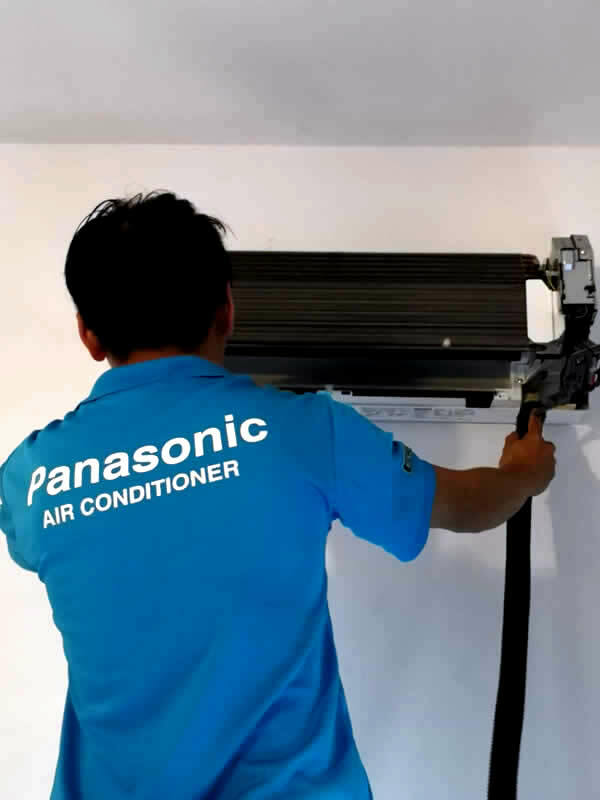 We are an aircon servicing company in Singapore that offers full-service air conditioner solutions. You can go into a contract with us including our professional chemical wash service. The aircon chemical cleaning price we offer is low compared to other AC contractors in the city. Our low prices are a product of your direct dealing with us. Service contracts will include our full, tried and tested procedure for chemical washing. We support various type of air conditioner brands including Panasonic, Fujitsu, Daikin, Mitsubishi, LG and also Toshiba. Each job will be performed by our trained professionals to ensure the quality of the output. They have their licenses and are all experienced having done hundreds of jobs around Singapore. You can expect a friendly staff that are good at what they do. When you realize that your air-conditioner hasn’t been serviced for a long time, it may be time to have a full aircon chemical wash. Among all our company’s services involving aircon servicing, the chemical wash service is by far the most effective solution in the line-up. Thorough cleaning for any type of unit. Hassle free booking through our online shop. And professionals working with clients each time. There is no need to look for another aircon service contractor in Singapore. Call us right now! Looking for aircon chemical cleaning service? Our technician will follow along the step-by-step process to perform a full chemical wash for you. The AC unit will be taken apart piece by piece for the proper application of chemicals.